Batch-Files are small yet powerful tools that you can create to easy your daily chores. Back in the day when Windows was glass covered holes for letting air and light into your house, Batch scripting was an essential and every day tasks. Today, most people don’t even know it exists. This time we’ll explore how to create a multiple choice menu that can trigger files, website and functions. jv16 PowerTools is the ultimate Windows optimization and tune-up utility suite. The bottom line is that it keeps your computer running smooth, fast and greatly improves its overall stability. If you’re still (gasp!) using our old RegCleaner program, or an older version of PowerTools, it’s time to wake up and pay attention! PROS: Fast. Lightweight, Easy to Use. 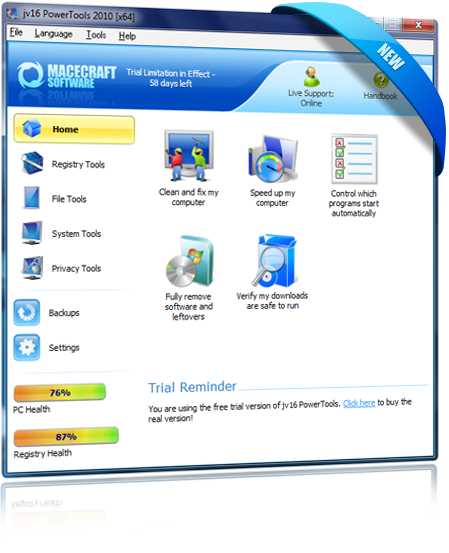 VERDICT:Overall the most reliable “optimization and tune-up utility suite” I have ever encountered. No matter if you are an experienced user or not – JV16 PowerTools will become your best friend – ensuring your computer a long and healthy life. jv16 PowerTools 2010 is here and it’s sweet! PROS: Quick installation and great features added with ease. One of the best features for me is the option to continue where you left off in a song when you close and re open WMP12. CONS: No cons really. It would be nice to see more features that could bump this up to a five-star program. If you can think of any features, let us know in the comments so we can pass them on to the developers. VERDICT: If you insist on using WMP12 (and, to be fair, it’s worthy of use), then this may make your experience even better. 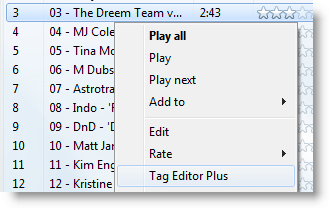 DOWNLOAD: Windows Media Player Plus! We love customising our desktops at mintywhite. Our community have come up with some brilliant creations and provided links to some great resources. In this How To guide I will be showing you how to create your own Start Orb for Windows 7. I’ll be using Photoshop CS5. Sorry to those who use alterative software. I’m sure you’ll be able to follow using your preferred software however. You might have seen it being used in some of the tips here on mintywhite. But what are BAT- and VBS-files, and what is the difference between them ? The short version is that both kinds are small script files that can be used to execute functions or to do repetitive tasks. BAT is short for BATCH-file and is a very simple script-language from back then, when DOS was the ultimate PC OS. Some years later Microsoft decided (after much pun from the Linux, and Unix communities) to upgrade the functionality, thus creating VBS.